Buried treasure in Missouri has been located, and there is more there to be found. On this page are a few areas that have been associated with, through stories, that may have caches of gold coins, or bars, silver coins, out law loot, and more...but be for-warned. I cannot promise that this information is completely accurate. As treasure tales go, because they have been passed down through many years, certain elements of the lost treasure story may have been altered, either intentionally or otherwise. The wise treasure hunter researches all of his or her treasure leads before going out to search. Never rely on one piece of information about a treasure story you are researching. Use multiple research tools. The Internet, historical societies, and old newspapers, are just a few of the places you can go for more information. Having a reliable metal detector is a must. If you do not have a detector, but are interested in purchasing one, don’t spend more than a few hundred dollars. For a cost of approximately $250, you can buy a detector, headphones, which are a must, and a digging tool and pouch, and be ready to go. 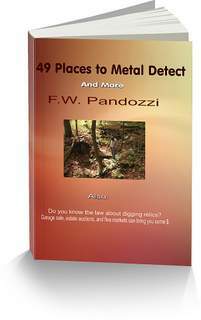 Read the owners manual and practice using your detector, and you will become efficient enough to find relics, coins, jewelry, and yes, maybe a buried treasure. The Charles Boucher Treasure, is a story about this man, a farmer, who buried approximately 500 silver dollars somewhere near his cabin, near ponds, about a mile south of West Plains. Jessie James, the outlaw, may have buried a large treasure consisting of $100,000 in gold coins and bullion near the Des Arc Mountains, approximately eight miles east of Gad Hills. Colonel Porter, a Confederate raider, buried approximately $30,000 in gold coins and silverware near the village of Lanton. Porter was fleeing from Union soldiers when he buried the treasure. Shortly after he was captured and killed. The treasure was never found. The Spanish Cave Treasure,supposedly is worth $600,000 in gold coins. The coins were hidden in a cave near Norfolk River, near Hartville. The Lost Yokum Silver Mine, is located between the King and the St. James River. A few years ago, I produced and hosted the first, reality, metal detecting, TV series. That series, Exploring History’s Treasures, was based on my many years of experience in the metal detecting/treasure hunting field. If you are interested in understanding more about that series, please visit here. Buried treasure in Missouri may be located in ghost towns.